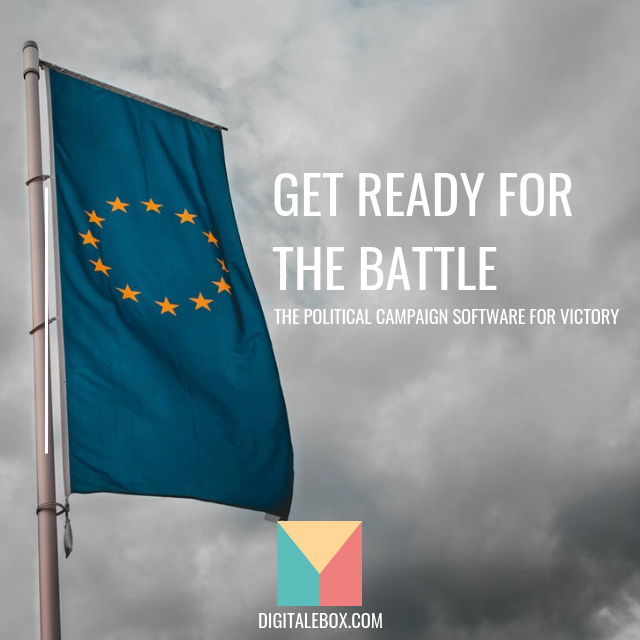 The European Parliament Election 2019 is approaching fast, 13 European parties will compete for 705 seats, find out more about the state of the art political campaign software that will be use by candidates. DigitaleBox, Political Campaign Software is already being used in many EU countries already by head of states, members of parliament, mayors and political parties. The software offers clear competitive advantages to users to engage and mobilize voters, organize remote teams of supporters and coordinate field volunteers. Running an Pan-european campaign is not an easy thing, in a constantly changing political communication space, with fragmented campaigns in every country. Political Campaign Software enable to structure and coordinates campaigns and messages, the augmented data base also allows targeted messaging to address specific issues. Mobilize the right audience to make sure you did not only convince people who might miss the vote. Engage and Organize your supporters, coordinate your volunteers for field operations.